The cream designed for intensive rehabilitation and hand care. Effectively delays the aging process by helping to keep skin looking young. Active ingredients with highly rejuvenating action clearly regenerate the skin, deeply nourish and reduce wrinkles. Cream restores firmness and elasticity of the skin, eliminates signs of thinning. Reduces the feeling of roughness, soothes irritations. Protects against dryness and harmful external factors. Siberian ginseng tonic, rejuvenates and tones the skin of the hand while the oil contained in the cream Altai chamomile soothes, soothes and calms sensitive skin. INGREDIENTS: Aqua, Coco- Caprylate/Caprate, Glyceryl Stearate, Cetearyl Alcohol, Octyldodecanol, Caprylic/Capric Triglyceride, Glycerin, Helianthus Annuus (Sunflower) Seed Oil*, Linum Usitatissimum (Linseed) Seed Oil*, Oenothera Biennis (Evening Primrose) Oil*, Pinus Sibirica Seed Oil Polyglyceryl-6 EstersPS, Panax Ginseng Root Extract*, Chamomilla Recutita (Matricaria) Oil, Hesperis Sibirica ExtractWH, Rhodiola Rosea Root ExtractWH, Geranium Sibiricum ExtractWH, Calendula Officinalis Flower Extract*, Melissa Officinalis Flower/Leaf/ Stem Water*, Juniperus Communis Fruit Extract*, Urtica Dioica Nettle Extract*, Salvia Officinalis Leaf Water*, Tocopherol, Sodium Stearoyl Glutamate, Xanthan Gum, Benzyl Alcohol, Dehydroacetic Acid, Sodium Benzoate, Potassium Sorbate, Parfum, Eugenol**, Limonene**, Linalool**. Cream is certified as natural cosmetic COSMOS and ICEA. Which means that cosmetic certified ICEA ? is controlled at all stages of its production. COSMOS - STANDARD AISBL is an international association which introduced a uniform certification standards for natural and organic cosmetics . Finally, other components. For each category , Cosmos - standard precisely defines what is allowed and what is not . It also defines which components ( and in what circumstances ) can be considered as "organic " (ingredients of mineral origin can not , the water will not ) and how to calculate the percentage of organic ingredients in the cosmetic , depending on the category to which the / in the component belongs. NO Parabens, Silicones, PEG, SLS, Dyes- Guaranteed! 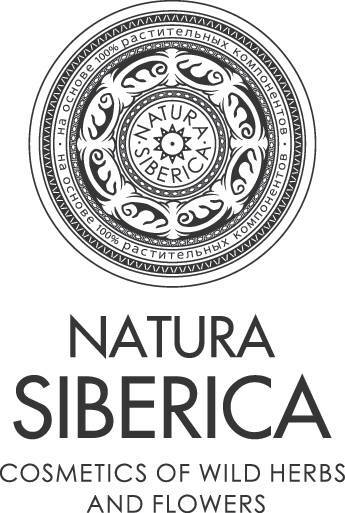 Gentle care for your faceA new "Natural&Organic" face line by Natura Siberica has been formulated with organic and natural components, which is proved by European certificate of ECO BIO cosmetics by ICEA.